2+ hours of Elon Musk at Joe Rogan’s podcast. Elon Musk made an appearance on the Joe Rogan’s podcast. This is an amazing chance to see what’s on Elon’s mind and to decide how you can relate to things he’s working on. Lets listen and then discuss together! 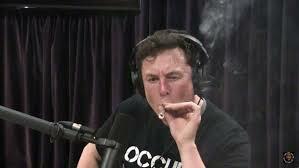 In the course of two hours Elon makes jokes and laughs a lot, scares the sh**t out of everyone listening, smokes weed and drinks whiskey. He talks about what it feels to have mind like his. What were your favorite parts of the interview? Elon is a weird guy but in a good way. My favorite part of the interview is the conversation about love. Particular I like an appeal not demonize people and to spend more time with friends. Elon is Smart Head and such the people put new changes in the world. Previous Previous post: ELK Cares – подарим занятия языком детям. Мы сделали это!